Laser gum contouring is a cutting-edge cosmetic surgery that your gum dentist in Brooklyn offers if you have gums that are too pronounced or uneven. Gum reduction can give you more confidence in your smile. Gum contouring surgery is safe and painless, with a high success rate. Ask your Brooklyn cosmetic dentist about this procedure. 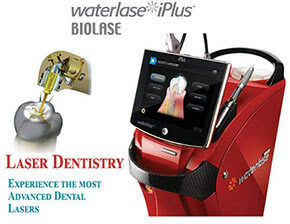 We are proud to offer our patients the latest dental lasers, the most revolutionary technology in dentistry today. This noninvasive method can cut hard and soft tissue without heat, vibration or pressure, the three main causes associated with pain at the dentist. Gum contouring is a form of cosmetic dental surgery that’s used to improve the appearance of your gums. Your Brooklyn dentist can do gum contouring surgery to restore gum tissue that has receded or to cut away or reshape excessive gum tissue. Another name for gum contouring is tissue sculpting or gum reshaping. If you feel your gums cover too little or too much of your teeth and you don’t like the way they look, you may be interested in this cosmetic procedure. If your gum line is uneven, this procedure can make it more even and natural-looking. And fortunately, your Brooklyn cosmetic dentist offers all the latest technology to performs laser gum contouring. When your gums are very noticeable and cover a large portion of your teeth, it can make your teeth look disproportionately small. This might be caused by genetics, prescription medication or certain health problems. You may feel self-conscious about smiling, and you may decide you want to have gum reduction to help you feel better about your appearance. The opposite problem is when gums pull back from the teeth, making the teeth look too large. This condition is called gum recession. Your gums pull away from your teeth and expose the roots, which may be a sign of periodontal disease. Gum recession can expose the root of a tooth, which leads to tooth decay. 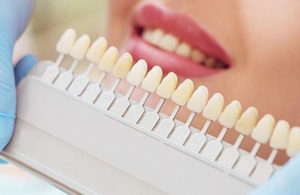 Gum contouring is usually done using laser dentistry technology. Your mouth is first numbed with a local anesthetic. The best gum dentist in Brooklyn then uses a diode laser to sculpt the gum and cut away excess tissue. This is a simple cosmetic dental procedure that can usually be done in a single visit to your cosmetic dentist. In the past, gum contouring was done using a scalpel, which led to much more bleeding and discomfort than the more modern approach. Using the latest techniques, such as a diode laser, means there’s very little bleeding or chance of infection. With laser gum contouring, you don’t even need any stitching because there are no open wounds. Healing happens more quickly, too. Before you decide to have gum reduction or tissue sculpting, you may wonder whether having gum contouring surgery is a painful procedure, if the procedure itself hurts or if you’ll have a lot of pain afterward. 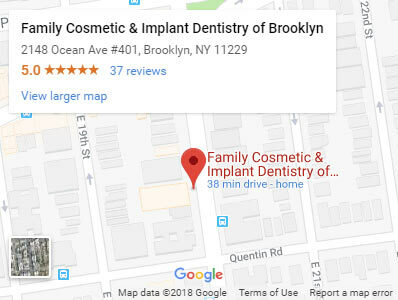 In our Brooklyn dentistry clinic you’re medicated during the actual procedure, you likely won’t experience pain while you are having the procedure done. You may experience some discomfort once the procedure is complete, but how much pain depends on how much gum tissue is grafted, reshaped or removed. For most people, the pain is minimal and easily controlled with over-the-counter medication. Your Brooklyn dentist can help with any discomfort or anxiety before, during and after the procedure. Risk of complications from laser gum contouring is low. There is a slight possibility that you could have an allergic reaction to anesthesia, but this is rare, especially if you go to the same dentist who treats you for other dental needs. There is also a slight risk that the gum tissue being removed could grow back. Results of gum reduction or reshaping are visible right away. You are able to see your new smile right after the process is complete. For most people, the results are permanent. Take an over-the-counter pain reliever for discomfort. Your gums will be sensitive at first, so avoid any foods that may poke or cut them, especially food containing seeds. Stick with soft foods such as yogurt, soup or ice cream for the first couple days. If you have any swelling, ice packs on your face may help. A good smile can make a big difference in your self-esteem. Uneven gums can make you feel self-conscious and reluctant to smile. The good news is that gum contouring surgery is a safe, fast procedure that can improve both your smile and your self-esteem. To find out more about laser gum contouring or gum reduction, call Quentin Smile Dental Practice, the best dentist in Brooklyn, and request a consultation. Your cosmetic dentist can answer any questions you may have about gum contouring and help you to have your most attractive smile. Do you have any questions about the Gum Contouring (laser gum reduction surgery) procedure in Brooklyn? 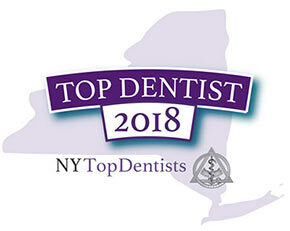 For more information or to schedule an appointment with the best gum dentist Khabensky DDS of Family Cosmetic & Implants Dentistry of Brooklyn? Please contact our dental clinic for consultation with the gum reduction dentists Alex and Igor Khabensky DDS.